Ultrasonographic imaging techniques have been rapidly developing. The new transesophageal echocardiography (TEE) system made it possible to obtain the real-time three-dimensional (3D) image of the cardiac system through the esophagus, that can be applied to the field of gastroenterology. 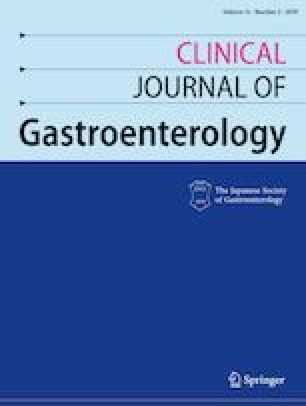 We herein present a case of 72-year-old woman who was referred for evaluation of an incidentally found cystic lesion in the tail of the pancreas. The real-time 3D imaging with TEE probe clearly demonstrated the internal features of the cyst consistent with MCN, which helped narrow down the differential diagnosis. The patient was proceeded with distal pancreatectomy and a definite diagnosis of MCN was confirmed with the histopathological findings of the resected specimen associated with ovarian-type stroma. This is the first report which showed the real-time 3D image of MCN in the pancreas obtained with TEE. Further investigation is warranted to determine the clinical relevance of 3D ultrasonographic techniques used to evaluate the pancreatic cystic lesions. The authors declare that they have no competing interests and no funding was received for this case report. Takuya Ishikawa, Yoshiki Hirooka, Hiroki Kawashima, Eizaburo Ohno and Mitsuhiro Fujishiro declare that they have no conflict of interest.